How Do You Grow and Empower Others? 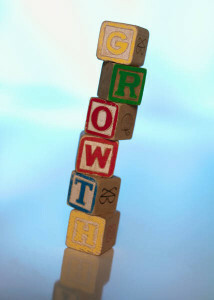 How do you grow your business? How do you take your life and business to the next level? I’ve worked with hundreds, if not thousands, of leaders over my lifetime and it all comes down to a single question if you hope to take your life and business to a higher level. The question is how do you grow and empower others? I had an interesting call with one of my oldest clients. We got talking about two key issues most business leaders miss in all their activities. Your business can only grow so far if the only person growing is you. He asked me if I would be willing to take on a different challenge moving forward in my life. He asked me if I could help empower others the way he and many of my other clients have empowered me. After a short discussion, during which I became very stubborn, I told him I thought empowerment was an overused buzz word and it really didn’t need me to breathe air into a tired, overworked expression. He then did what he always does, he told me to take a closer look at it. Spend the next several days and see if I still believe there is no reason to start talking to business leaders about empowering their people. He told me it would become clear to me over the next week or so and that I should begin talking about the topic in my writing and conversations with others. Since we’ve been together so long and he has a near perfect batting average I thought I would invest the time to see why this topic was so important to him and his team. I first had to come up with a definition of empowerment. Here’s what business dictionary.com says about empowerment: Empowerment is a management practice of sharing information, rewards, and power with employees so that they can take initiative and make decisions to solve problems and improve service and performance. Empowerment is based on the idea that giving employees’ skills, resources, authority, opportunity, motivation, as well holding them responsible and accountable for outcomes of their actions, will contribute to their competence and satisfaction. After I read this, I began to see why my client had the discussion with me. He’s all about providing people with the skills, talents, and life experiences that allow them to achieve their hopes, goals, and dreams. He knows that the more people feel comfortable with growing, the bigger they become and they share their success with others. He believes that the world needs serving leaders because they not only serve others, but they empower others to do the same. My friend told me that there are times in our lives when we need a helping hand if we hope to make the world a better place. He even reminded me of several times in my life where others stepped in to provide a hand up when I needed it. He shared that with great gifts come greater responsibilities. After a week, and many different, unusual meetings, I discovered that many people need to be more empowered if they hope to change their lives and at that of their communities. Employers today don’t invest much in their employees’ development. I could tell because in several different situations I gave these employees clear opportunities to take their lives to the next level and none seized the chance because it was easier to walk away than going the extra mile. After each opportunity, I could almost feel my heart break a little more. After the last couple missed opportunities, my spider senses started tingling and I knew something unusual was going to happen. Here’s what happened. I got a clear insight into what was happening. People cannot do what they are not trained to do. If you want people to do more you must train them to be more. It may be my background with the military, doctors, engineers, entrepreneurs, or first responders, but all receive extensive training and education on a regular basis. All are very good at solving problems in constantly changing environments. If we want our people to have the same ability to change, we must provide an environment in which personal and professional growth is the rule, not the exception. So here’s a question that I just started asking my client leaders to help them better understand why they should empower their people starting today. Would you take an entry level position with your organization today? If not, why not? Over the next several months, I’ll be sharing the different ideas I discover that can help you empower the people in your organization more quickly and effectively. After all, if you only increase your people’s skills by 1% a month and you have 100 employees, your business increases by 100% every month. Now it’s up to me and my partners to increase your number by more than that. See you here Thursday when I share the secrets of getting empowered employees to come to work for you. Can technology help SME leaders grow a more profitable business today? Be the first to comment on "How Do You Grow and Empower Others?"